New Jersey may be just a short stroll across the Hudson River from Manhattan but, to many New Yorkers, it is definitely no match for the Big Apple. However, as any true Jersey boy will tell you, this state of prosperity and liberty is every bit the equal of its near neighbor. It may have some of the most beautiful places in the world to propose! Friendly, welcoming, uncomplicated, you can add a million descriptions to NJ and it’s population. It is also far more popular with NYC residents than many of them would like to admit. This is helped greatly by the much lower sales tax across the bridge. The rivalry has manifested itself in the many songs about both NYC and NJ, with neither giving an inch in their loyalty to their town or state. New Jersey, like New York City, is also an amazing place to propose marriage. Its nickname of The Garden State is well earned, with many beautiful and picturesque places to pop the question. Here, we look at some of the best. When we hear the label “historic”, we often think about towns in Virginia or other early-colonial settlements. But to ignore Princeton in the list of historic places would be a terrible shame. Famous, of course, for its world-renowned university, the campus itself is a wonderful location for any proposal. 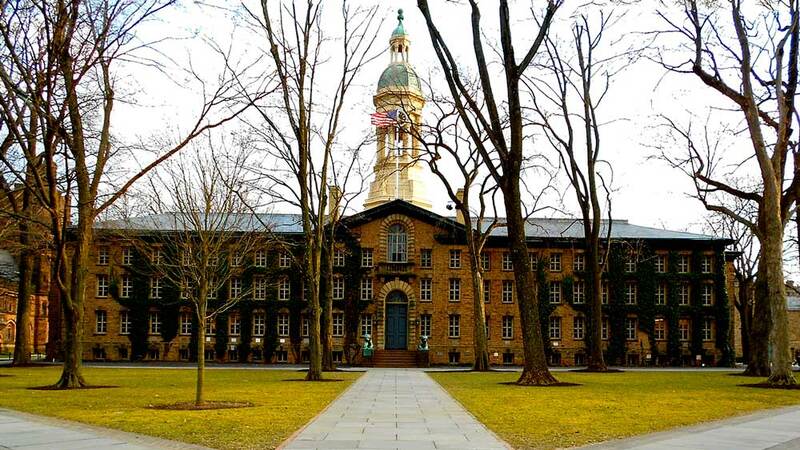 Nassau Hall, the oldest building on the Princeton University campus is over 250 years old. The building is a designated National Historic Monument, in recognition of its contribution to both independence and its role as the seat of the US government for a brief time in 1783. A stroll around the campus is stunning any time of year, with it just bursting into glorious color in the fall. The tree-dotted lawns of Nassau Hall make a backdrop worthy of any proposal, with the added historic significance being a huge bonus when asking for someone’s hand. If we’re absolutely honest, Lambert Castle isn’t really a castle. It is really a mansion built in the style of an English castle. This is somewhat appropriate, having been built by an English silk merchant, Catholina Lambert, in the late 19th century. Lambert Castle sits atop its own mountain and has both rocky outcrops and lush gardens. Any will make a wonderful site to propose. Despite being several miles west of the Hudson, in Paterson, a clear day will afford spectacular views of the New York skyline. All in all, Lambert Castle has something for everyone. It offers tranquility, history and fabulous surroundings any time of the year. 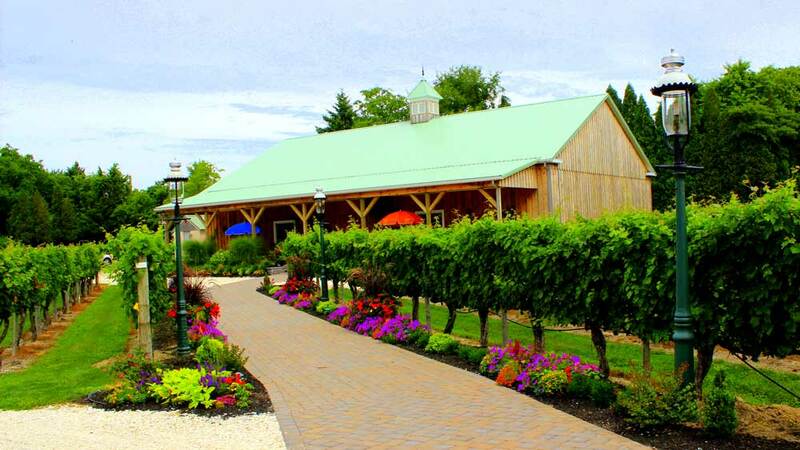 Although New Jersey is a relative newcomer to wine production, the Cape May Winery produces some excellent wines. Best of all, you can tour the winery and sample lots of the produce! Although access to some parts is restricted unless in a guided tour, in order not to damage the vines, there are lots to see and do at Cape May both before and after your proposal. But to simply class Cape May as “just a winery” would be very misleading. It is a beautiful, tranquil location with lots of places just to sit and relax, have a bite to eat and a glass of wine. If you do choose to take the sampling tour, it might probably be best if you propose before starting! Even if you don’t enjoy wine, the winery is a beautiful place to pop the big question. Nobody has done more to promote New Jersey in music than Bruce Springsteen. His early life in Asbury Park features through his vast catalog, and the Watermark does its best to live up to the Boss’ love of the place. 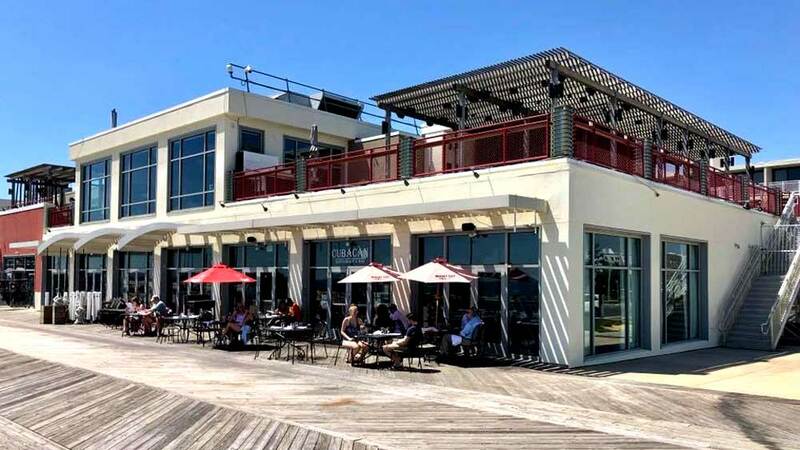 Situated right above the Asbury Park boardwalk, the Watermark is one of the Jersey shore’s greatest destinations for anybody wanting great food and drink, with an amazing view of the Atlantic Ocean. Enjoy a relaxing dinner inside the pavilion or dine al fresco, and make your proposal with the soft Atlantic breeze brushing your face. 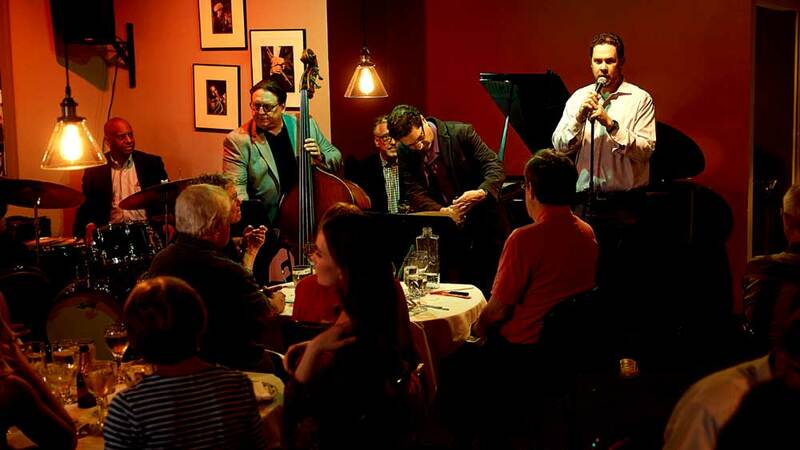 Located on Main St in Madison, Shanghai Jazz is a beloved institution for residents and visitors alike. With live music six nights a week, and a stunning Asian-inspired menu, the club is a popular destination for travelers far and wide. It’s a little different from the tranquility and romance you’d normally associate with marriage proposals, but the club has earned its place here. It might sound like something of a paradox to describe something like an intimate, and rip-roaring night out, but that’s exactly what you get at Shanghai Jazz. Propose exactly when you like, without any of the big city stress. Afterward, take a stroll to see if you can see any Madison locations which were filming locations for The Sopranos. 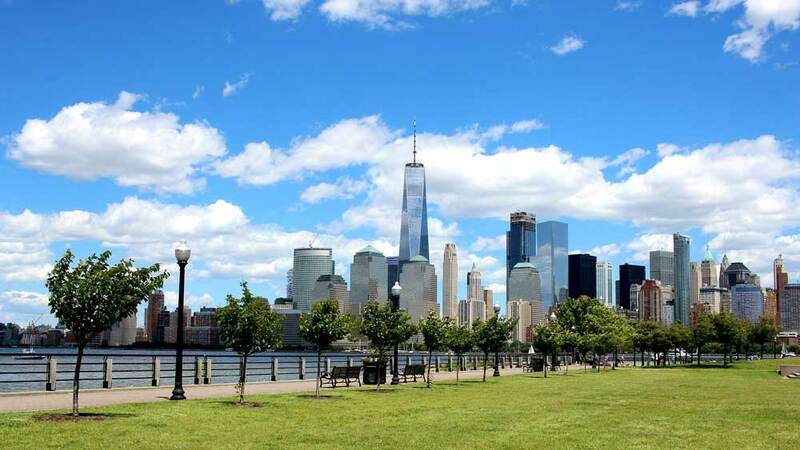 Hoboken is home to one of the most stunning areas of New Jersey riverfront. Pier C is part of this, with amazing views across to the NY skyline. No wonder it is is a popular place to propose. However, just a little further down is Liberty State Park. The park has the most incredible views of Liberty and Ellis Island. This makes it a perfect – and slightly unusual – proposal backdrop which is too often overlooked. Much of what is on offer at the park centers around Liberty. This is both the statue and the concept on which America thrived. There might be more scenic parks around both NJ and NYC, but few have as much cultural or historic significance as Liberty State Park. To read our list of locations to propose in New York, click here. Despite being a small town, Paterson is one of the best proposal spots in the area. 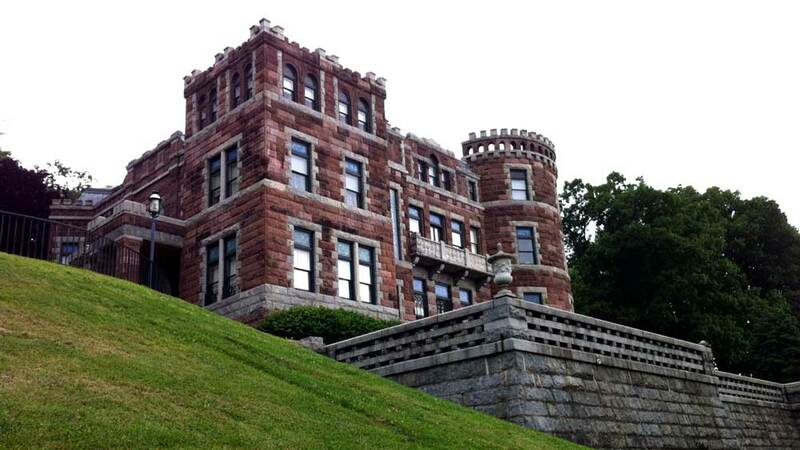 As well as Lambert Castle (above), the town has the Great Falls on the Passaic River. The falls are 77 feet high, and several viewing points are available, each of which makes a great spot for a certain question! 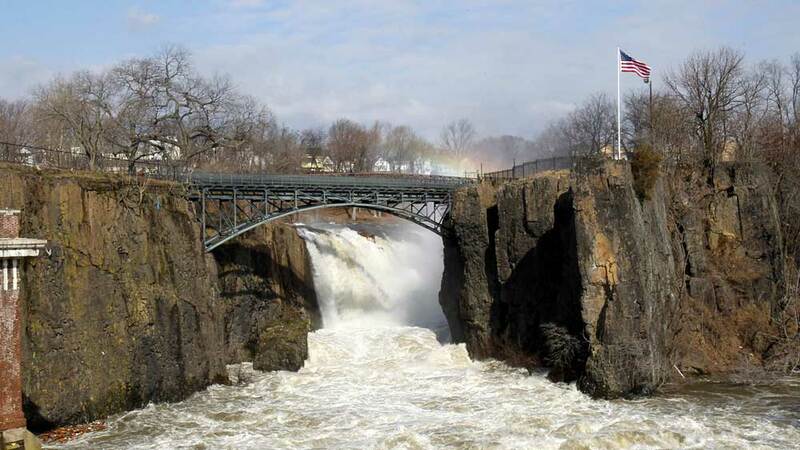 Despite being one of the United States’ highest waterfalls, it is within a very short walking distance of downtown Paterson. This location makes it almost unique in terms of historic natural water feature. It is a breathtaking site, and in still relatively undiscovered. Visitors stumble across it, rather than make plans to visit. Without a doubt, though, The Great Falls are unusual and spectacular in equal measure. New Jersey has 130 miles of sandy beaches. If you need a better reason to propose, I’m not sure you’ll find it. All along the coast, there are many quiet and secluded spots. Anyone of them is the ideal place to make your proposal in easy and comfortable isolation. 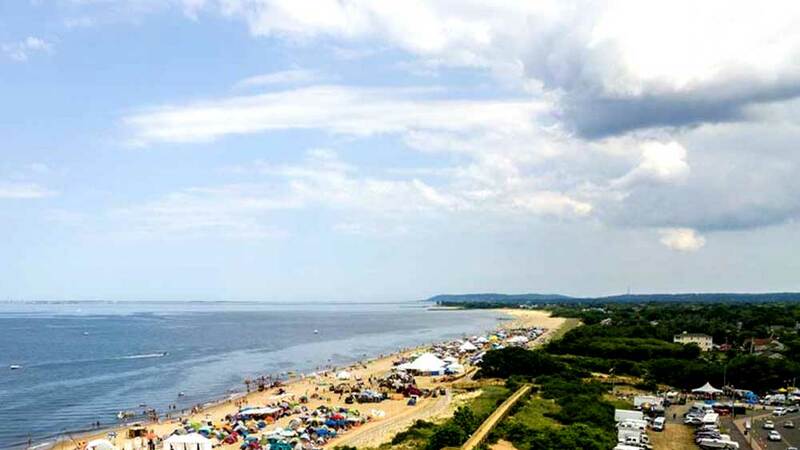 Although beach proposals are very popular, if you are a native of NJ, it might be a no-brainer for you. Nothing says New Jersey like its beaches. Being the Garden State, it would probably have been a little unusual had we not included actual gardens in this list. 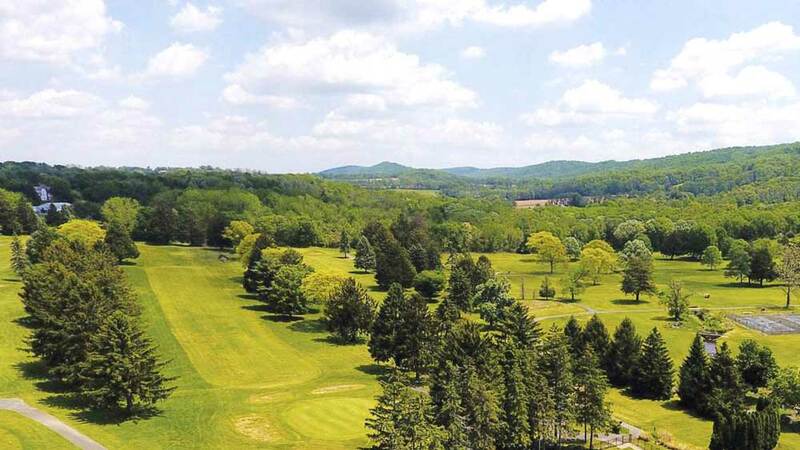 The entire Skylands area is dotted with walks, lakes, and beautiful hills and parkland scenery. 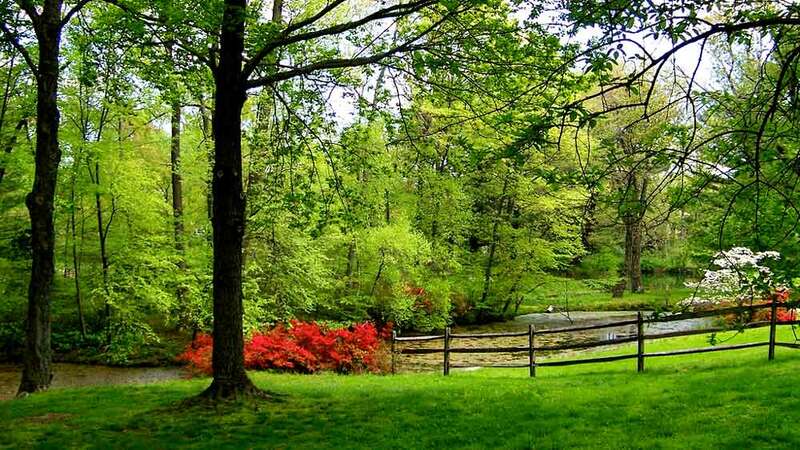 At its heart is the New Jersey Botanical Gardens and Manor. With 96 acres of formal gardens and over 1000 acres of woodlands, much of it easily accessible by path walks, it is a spectacular setting at any time of year. 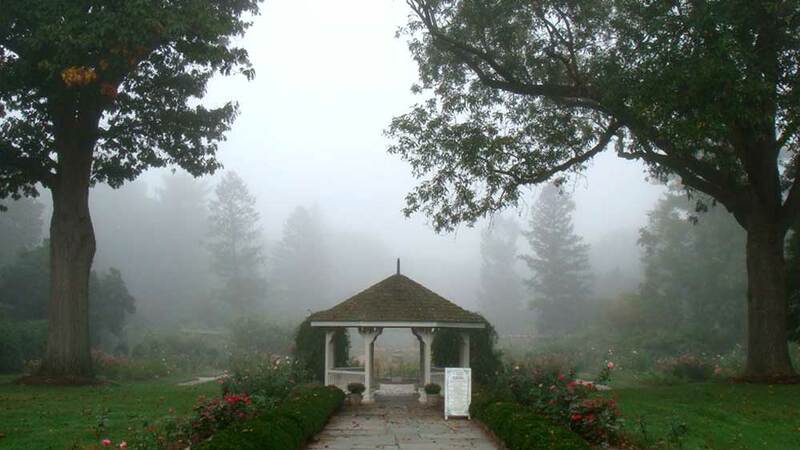 The Gardens are open all year round and only close during and after severe weather incidents. It is also free to enter and, except during peak season, free to park. Take a stroll, find a quiet spot, and pop the question in on of the most picturesque parts of the state. A dinner cruise, with New Jersey on one side and the New York skyline on the other. What could be better? The food is excellent, and the music will have you dancing up a storm, but oh those views! The dinner cruises last between 2 1/2 and 3 hours and include a selection of food and some soft drinks. Lunch cruises are also available and are both slightly shorter and cheaper. Have a bite to eat and a drink, then stroll along the deck until the time is right. There’s just something great about proposing on water, so why not do it in real style? 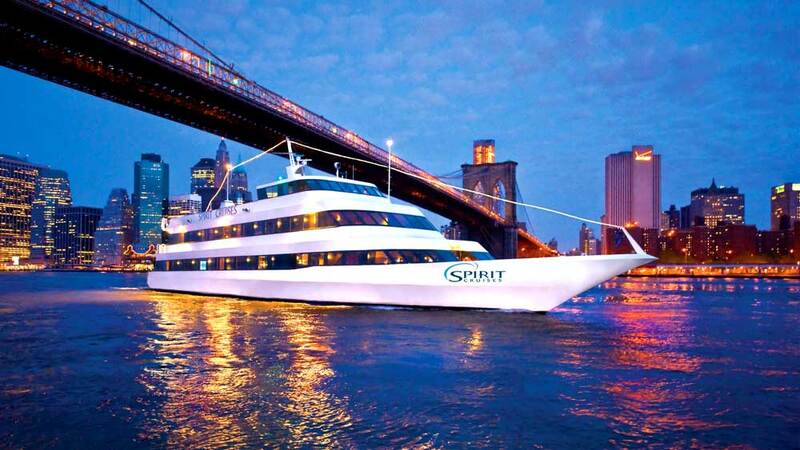 The Spirit of New Jersey Cruise is a delight! New Jersey has many great scenic points, all across the state. Few, though, are better than the State Line Lookout. Situated at the North East of New Jersey, just a few miles from the NJ/NY state border, the cliffs reach a height of 520 feet. At the top is s refreshment hut and you can park for free. The view across the Hudson is as good as you’ll get anywhere, and the perfect place to go down on one knee. If you fancy something a little more adventurous, the New Jersey Palisades are close by, with hiking and ski trails. The Lookout point is open every day during daylight hours. Summer is, as you’d expect, very busy. Try late fall, when there is still color in the trees, but when the crowds have long gone. 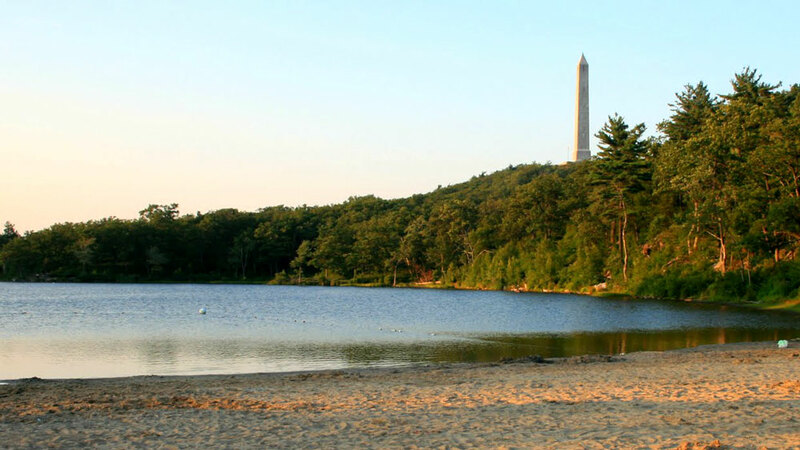 High Point State Park has many highlights amongst its stunning scenery and hiking trails. Chief amongst them is the High Point Monument. At 1803 feet above sea level it is the highest point in the state. With 360 degree views of New Jersey, New York, and Pennsylvania, it is truly spectacular. For extra thrills, climb the 220 steps up the monument. If you get a quiet moment, it really will be a proposal to remember. If not, take in the views of the Appalachian Trail, Delaware River, and the Catskills. 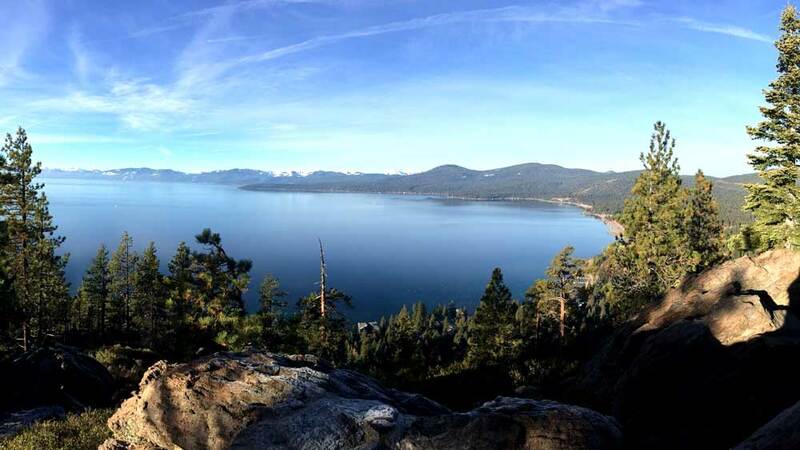 Wander back down, stroll for a while, and choose the perfect moment amongst the 15,000 acres of the park. 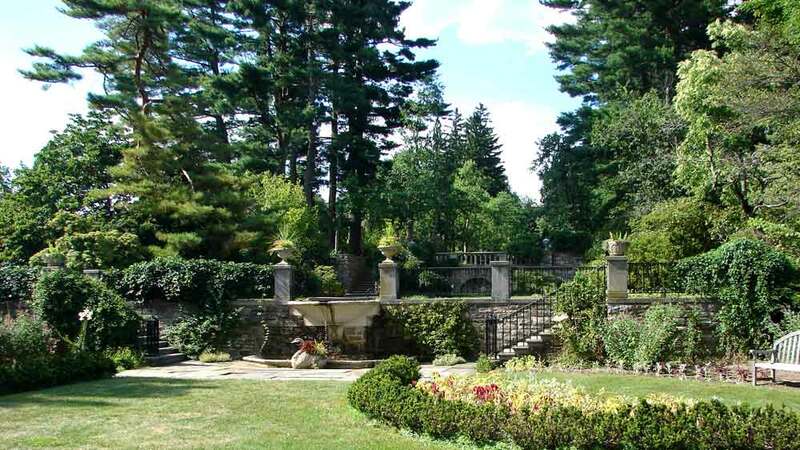 Situated in, no surprise here, Wyckoff which is just north of Paterson, the gardens are probably the state’s best kept botanical secret. With a gated Rose Garden containing 500 rose plants, at its best, it is an explosion of color and scent. If the roses are out of season, there are a further 13 acres of woodland to walk through. If you are lucky, a deer may wander across your path but, if not, the walk will be no less special. In summer, the trees offer a welcome cooling shade. But why is such a location such a big secret? Well, there’s no website or social media presence, so take advantage of the low crowds and start planning your wedding. Here’s the Google Map Location. Whenever some sports car fanatic compiles a list of the best roads, they only ever focus on what it would be like to throw a muscle car round its hairpin bends. For the rest of us, our needs are more sedate, and Route 519 is the road to drive. Stretching all the way from Colesville in the north, down to Stockton, it is as pleasant a drive as you’ll find anywhere. Take a picnic, and stop off at one of the many points along the way. Why not propose over a glass of Iced Tea? Alternatively, choose a point in one the wonderfully named towns of Hope or Harmony. Come on, you know the 519 is there just so you can propose! West of New Brunswick is Colonial Park. At 685 acres, it might not quite be the biggest park in the state, but it is one of the best appointed. It features picnic areas, walks, a golf course, ponds for fishing and much more. As far as proposals go, you have an option which is a little different. Dotted around the park are grills, all set for you to hold a BBQ for friends and family. Get everybody there, and tell them about the proposal you made earlier along the Delaware riverfront, or in the botanic Rose Garden containing 325 different varieties. There’s even a section of plants known for their scents, so you can have the sweet smell of proposal success all around you. 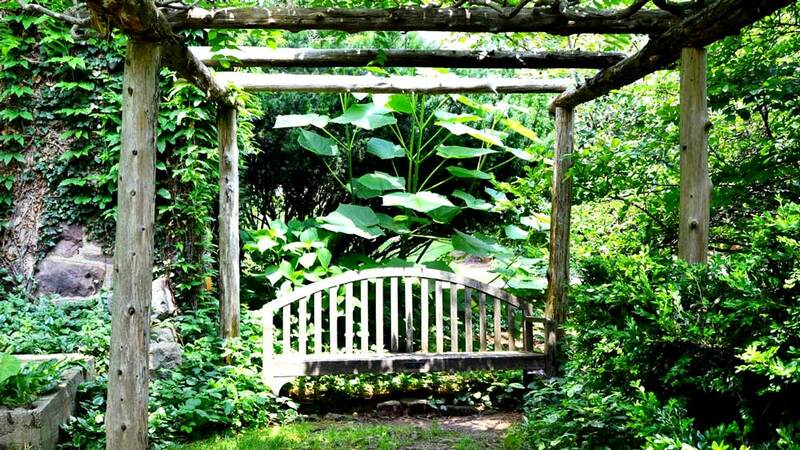 Although New Jersey is probably better known for its parks, woodland and mountains, there is no shortage of gardens. Willowwood Arboretum is amongst the very best on offer. With several separate and distinct gardens within the boundaries of the Tubbs’ family country home, there will always be a beautiful spot to propose. The Arboretum is open every day of the year and is absolutely free to visit. However, it does rely on donations from visitors, so please do give of dollars to help other enjoy this stunning collection of gardens. There is a lot more to proposing than just finding a great location. We’ve compiled a list of the best links to articles that will help you along the process of proposing with success. How to Propose in 2018? What to Know Before You Purchase Your Engagement Ring? You can also peruse our collection of vintage engagement rings, by click this link.